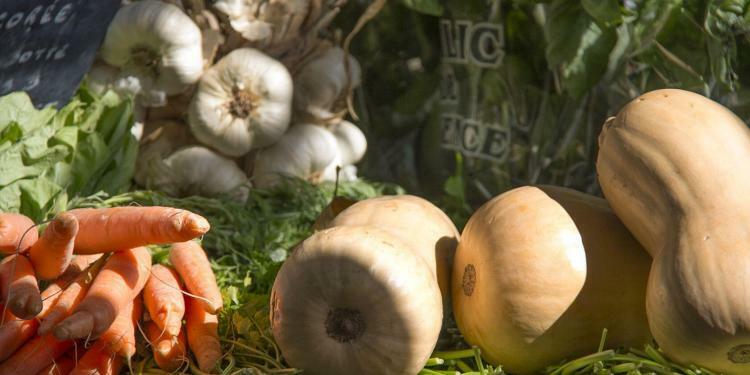 A digest of soup recipes using Provencal ingredients for all seasons – a steaming bowl on a cold day or the perfect cure summer heat. 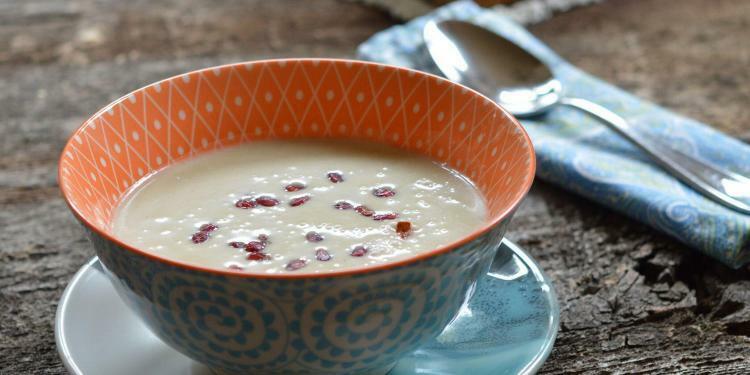 This Cauliflower Soup recipe enhances the flavour of what can be a bland vegetable with coconut milk and fresh ginger for a slightly Asian touch. It’s the perfect soup to make ahead for a dinner party or to have for lunch on a cold spring day. 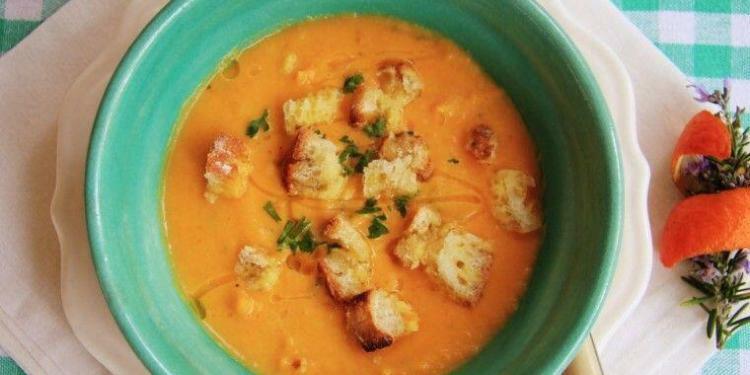 This Butternut Squash Soup might become your “go-to” for cool fall days. It requires very little preparation and only four ingredients. The heat of your oven will keep you warm while you wait. 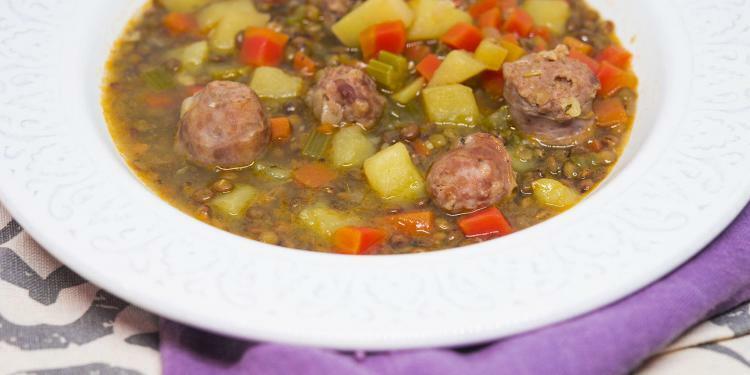 This recipe for lentil soup with sausage, lots of vegetables and a hint of sweet paprika is a filling meal for lunch or dinner. Bundle up and enjoy the change of seasons. Never trust anyone who doesn’t like soup. Whether your preference is hot, cold, spicy, creamy, chunky or smooth there are thousands of possible variations on this dish that requires a spoon. 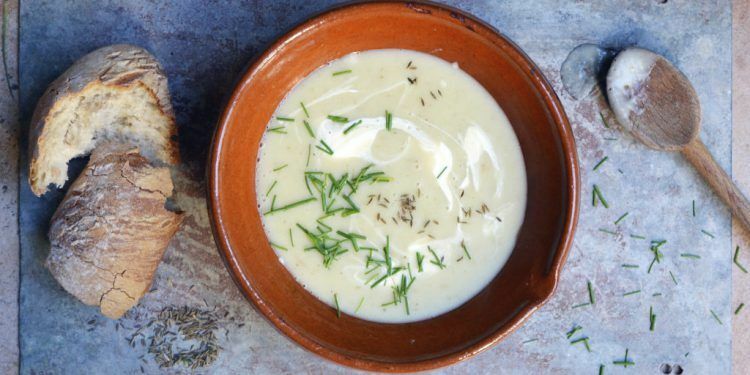 This Cream of Mushroom Soup will satisfy those who like their soup warm, fresh and delicious. rench green asparagus teams very well with peas and you can serve this cold in the summer for a refreshing and pretty way to start a meal. 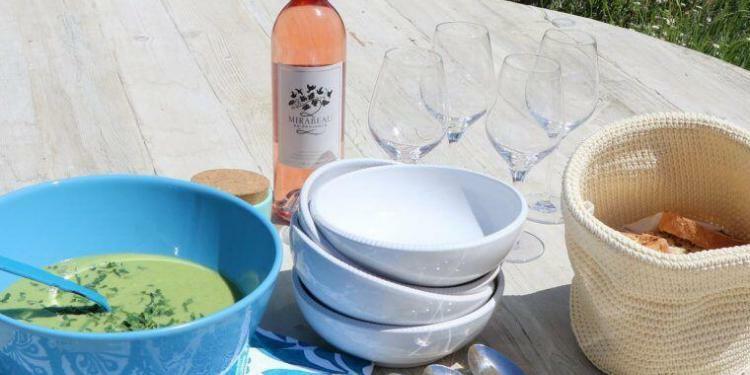 This asparagus and pea soup recipe comes from Jeany Cronk’s kitchen at Mirabeau Wine. 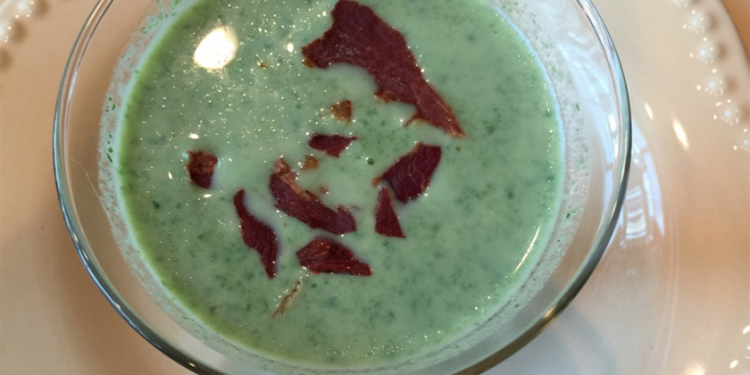 This recipe for a refreshing green Chilled Pea Soup is the culinary equivalent. The broth is simple to make ahead of time ideally the day before. Just before serving the soup prepare the prosciutto to a crispy texture and add as a garnish on top of each bowl. Creamy potatoes and artichokes with a delightful spicy kick from fresh roasted Cumin. 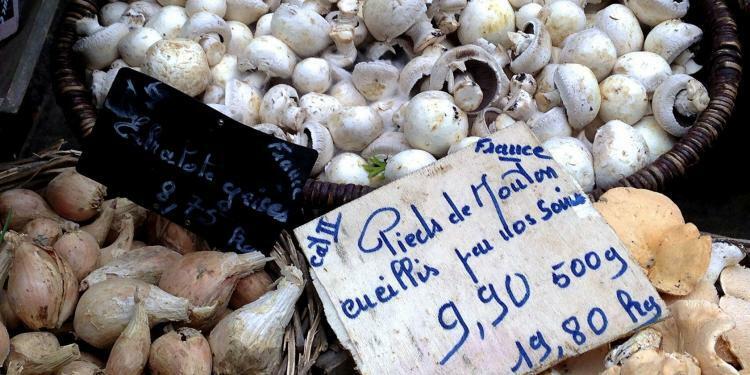 A unique and satisfying soup that will leave you well sated. 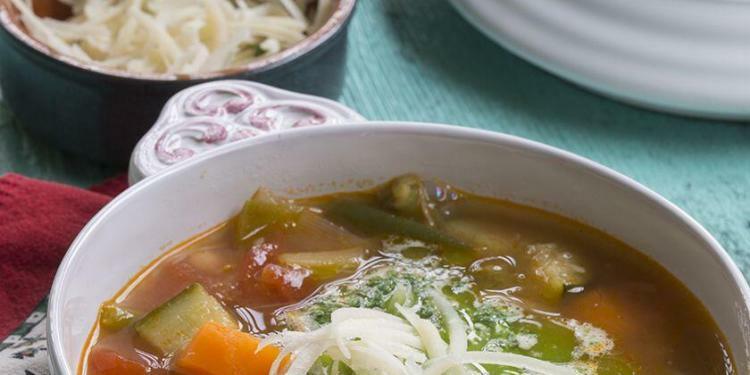 This is the perfect flavour-packed soup to brighten up your mood on a rainy or cold winters day. The fruity and brightly coloured pumpkin combines really well with the earthy taste of the Jerusalem Artichoke, while the hint of clementine juice cuts through it all with it’s pretty acidity. 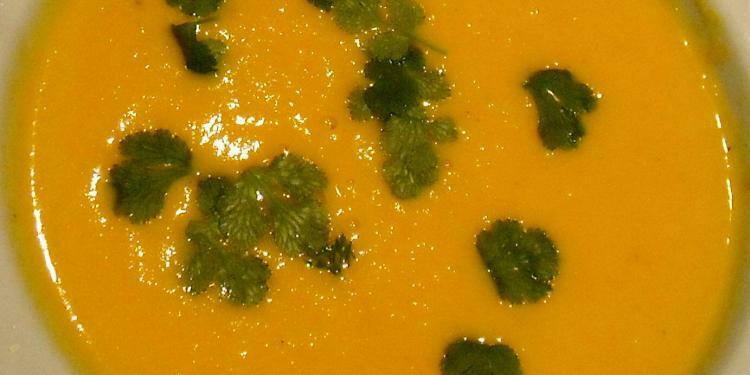 This recipe for Butternut Squash Soup comes from Gilles at Provence Gourmet. It is perfect for the cooler weather months and a dish you might make in one of his cooking classes in the Fall.